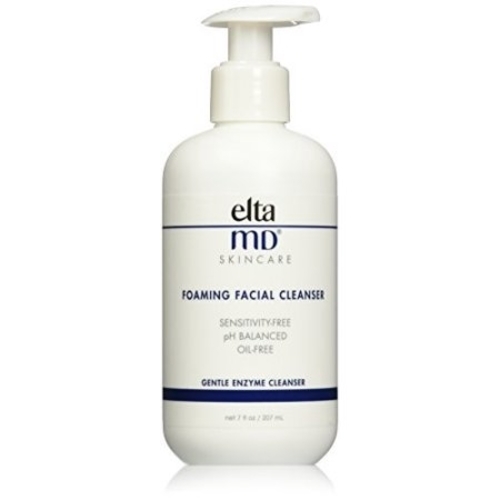 Elite Depot | EltaMD Foaming Facial Cleanser, 7 oz. Home > EltaMD > EltaMD Foaming Facial Cleanser, 7 oz. Gently remove dirt and make-up from your skin surface and improve its appearance and texture with the MD Forte Facial Cleanser I. This MD Forte anti-aging cleanser consists of 12 per cent glycolic compound. This MD Forte skin care can be used on acne prone skin as it cleans the surface thoroughly. The dermatologist tested formula of the MD Forte Facial Cleanser I makes it ideal for sensitive skin. The soap and fragrance free formula of this MD Forte anti-aging cleanser maintains a proper level of hydration and does not dry your skin. Cleanse your delicate skin with this MD Forte skin care to make it look beautiful.